Master the art of buying and preparing lesser-known beef cuts—from bavette to surprise steak—with Belcampo Meat Co. butcher Alex Jermasek. Sure, you know your way around tenderloin, chuck, and brisket after studying the fundamentals of basic beef cuts. But it’s really time to take your bovine knowledge to the next level and get familiar with alternative cuts like banana heel and bavette steak. 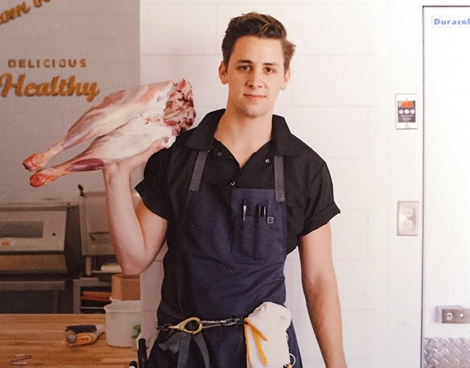 “New-wave butchers are learning about all of these lesser-known cuts,” explains Belcampo Meat Co. head butcher Alex Jermasek. “People will come into our shop and ask specifically for cuts like velvet steak now, which is kind of cool, because five years ago no one knew what a velvet steak was.” The best part of being in-the-know when it comes to beef? A lot of these cuts are just as delicious—but less expensive—than your go-to flat-iron or filet. Here, Jermasek gives us the lowdown on some of the best alternative cuts, along with tips on how to cook them. What is it: The scientific name for this muscle is super digital flexor. 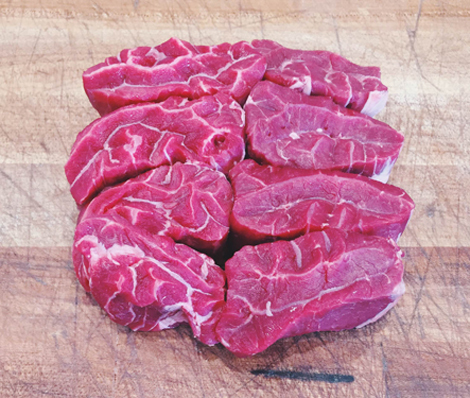 It’s a hyper-tendon-y muscle that, when cut into smaller pieces of stew meat, looks exactly like oxtail or beef shank. This is the perfect cut to braise for a long time (like 6 hours); it has tons of fatty sinew, so it will get that rich, decadent, gelatinous consistency. “This is oxtail 2.0,” says Jermasek. How to cook it: Famed Tuscan butcher Dario Cecchini has an awesome recipe for braised beef shank. He layers shank, osso buco, banana heel, and more with shallots and rosemary, dumps a bottle of vin santo in there, and cooks it for 10 hours. At the end, you’re left with this super-rich stew with meat that falls apart. What is it: A butcher from France taught Jermasek to butcher this steak while he was working at Lindy & Grundy in L.A. Jermasek explains, “When you’re breaking down the forequarter of beef, you’re rolling the chuck muscle off the animal and—surprise!—there’s a steak sitting there that’s stuck to the back side of the shoulder blade.” It’s very similar to a flat-iron steak (sometimes people will call it the “back iron”), but it’s a little leaner and has a more delicate and velvety texture. How to cook it: Grill it or sear it. Alternatively, you can treat it like fondue/shabu shabu and dip it in hot oil, then finish with salt. What is it: Bavette eats like a skirt steak—only it’s much thicker. Sometimes people will cut it a certain way and call it a “faux hanger steak,” because you get the same texture as hanger steak without having to pay the price for hanger steak. 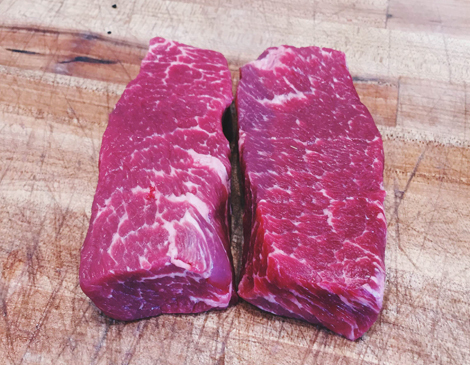 “A really well-marbled bavette steak is one of the better pieces of meat on the animal,” says Jermasek. 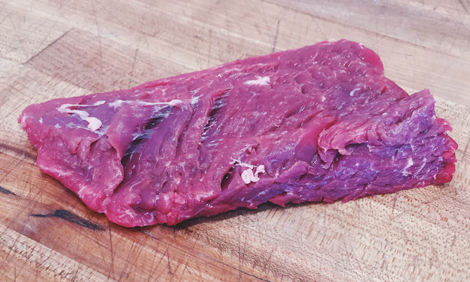 Fat content/marbling: While it tends to be lean in general, Jermasek thinks bavette is especially good when it has a bit more inner-muscular fat. 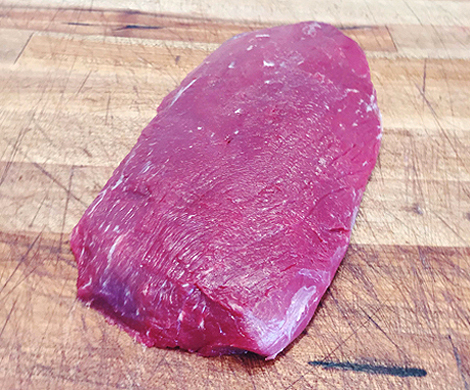 How to cook it: Great for grilling like a skirt steak or using for carne asada. The center piece, which is thicker, can be cut out and you can grill it like any other steak—although, you’ll want to cook it past rare to medium or medium-rare. Fat content/marbling: It has more marbling than other areas of the chuck. How to cook it: Denver steak is tender enough to be grilled or seared in a sauté pan. 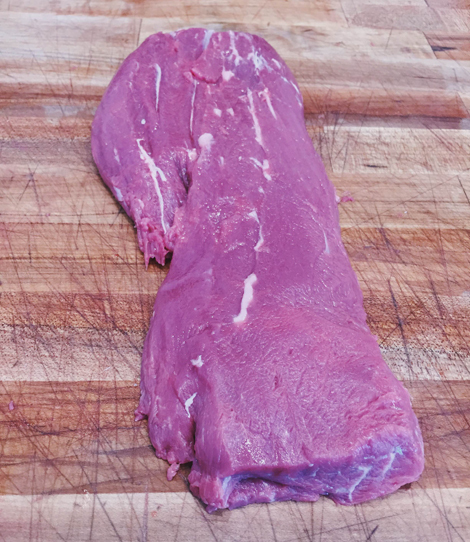 What is it: This ovular cut is perfect for a steak salad. It’s so lean that it lends itself to that healthy-eating idea, but it’s also really tender—which is an anomaly because it’s sitting in the heel. It’s the perfect size for one or two people. How to cook it: The idea is to char it quickly on both sides. You want to cook it super-rare, like ahi tuna.